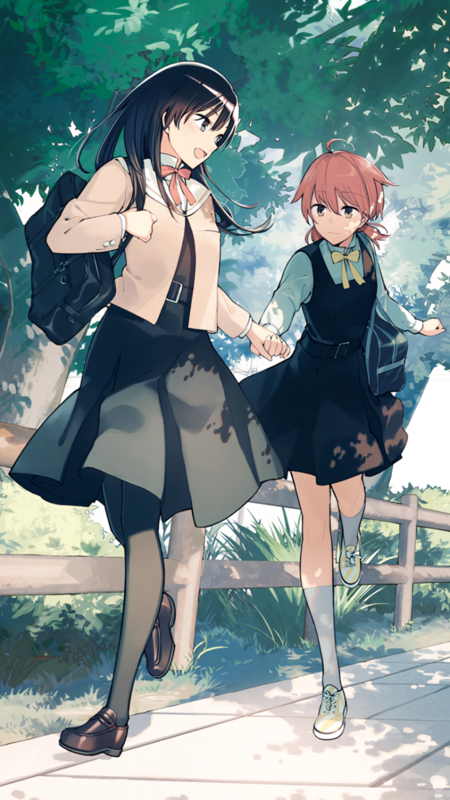 If you're not watching Yagate Kimi ni Naru (Bloom Into You) this season, you're missing out. It's seriously the best anime I've watched this year. I'm declaring this Anime Of The Year. Ladies and gentlemen, this is the trailer for Yagate Kimi ni Naru (Bloom Into You), which is debuting this fall. I've been keeping up with the manga, and as far as yuri manga, it's one of the best out there. Plus the animation in the trailer looks drop-dead gorgeous. Random rants on Pokémon things. I have been wanting to just write everything I wanna say in the forums but then noticed there was a section for blogs so now I can write a long post with my own opinions and what not and love to start some sort of conversation on these subjects. I just finished another recent anime, so have another review. Hand Shakers is an action series that sees pairs of people compelled to fight each other using strange weapons by the voice of God. The catch here, Hand Shaker pairs are heavily reliant on each other in combat to the point that they have to charge their power by holding hands.